My wash & go & hair type up close. I still don’t fully understand the hair typing charts well enough to know my curl pattern off the bat, think I’m a mix of 3c & 4a & b.
It’s been almost two years that I’ve been fully natural after transitioning for almost two years. 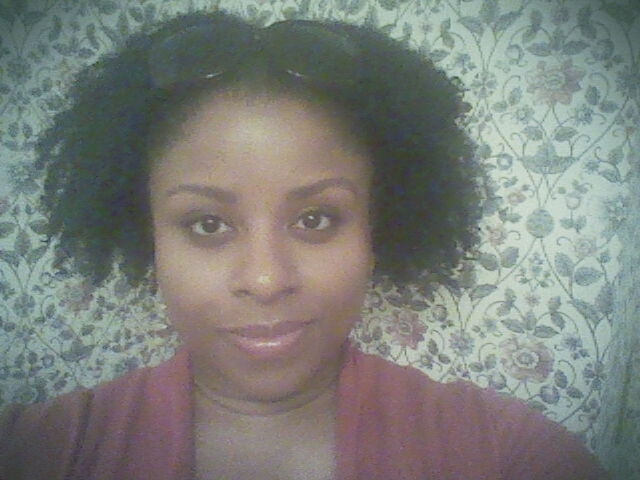 This natural hair thing is one of the few times I joined the ranks of trying out a trend. Despite hearing about all the benefits to dumping harmful toxic chemicals that can leave scalp damage and chemical burns (UH, BEEN THERE), a lot of us refused to give up the creamy crack and embrace (or at least accept) our natural curls, waves, kinks or coils – because you never know what’s really under there until you’re fully natural – until scores of brave souls led the way with positive results. And only then did we start stalking the social media pages of these women by watching videos, taking notes, reading posts, peeping regimens and gawking at pics, only to start considering the possibilities before taking the plunge or chop. 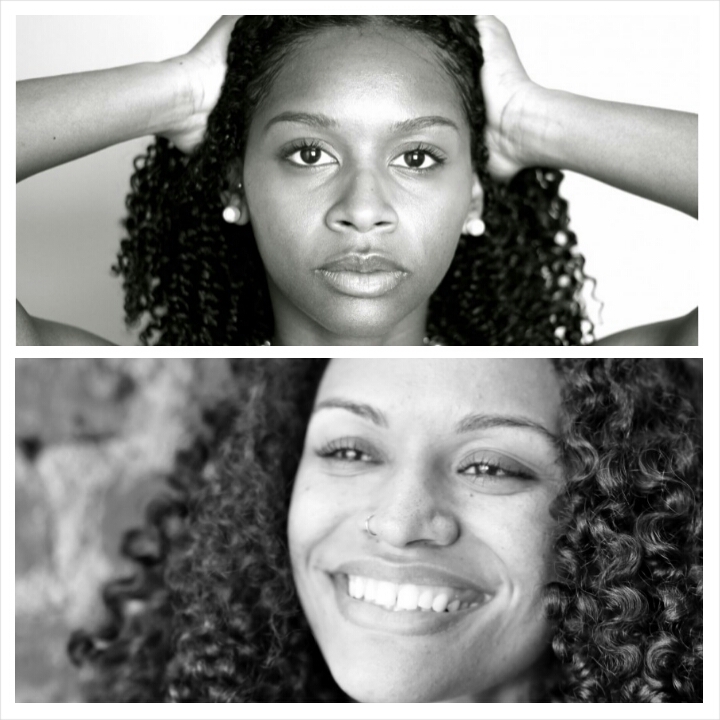 Two of my fave Natural Hair Bloggers – learned so much from them. MahoganyCurls (above) and HeyFranHey (below). Both experts and awesome resources for natural hair newbies. As for me, I wasn’t even thinking about going natural until this happened. Then I begrudgingly started the long, frustrating process of transitioning – only to quickly realize it is not for the easily discouraged. And now, here I am – – almost two years natural and I don’t ever see myself returning to relaxers. EVER. This pic was taken over the summer right before a hair appointment. Since I was going to have my hair straightened, I didn’t add any product & just allowed it to air dry. Shrinkage is something all naturals endure, doesn’t bother me much though. The pic at the top was taken just last month so my hair has grown pretty quickly these last few months. I’ve tried so many regimens on the quest to finding the best one for me. The Curly Girl Method and MahoganyCurls have been the best resources for my hair type. I was ready to throw in the towel right before I came across the method during a web search one day & and that led me to Mahogany’s You Tube channel. Plenty of naturals avoid real shampoo opting for sulfate free, and that’s what I prefer most days. But once a month, I have to break this rule and use a more aggressive shampoo for product build up and preventing flakes, especially during the winter months. Separate & clip hair into 4 sections. Shampoo in sections then apply a rinse out conditioner. Rinse out conditioner then apply a deep conditioner to each section & reclip. Sit under dryer for 30-45 minutes. Rinse out deep conditioner & apply a creamier conditioner to each section, detangle & reclip. Once done detangling all sections, rinse each one again leaving just a bit of conditioner behind, then apply styler & gel to each section, remove clips & combine with fingers. Harsh shampoo is much too drying for regular use, so I opt for gentler sulfate free co-wash options to get my scalp and hair clean without drying out or stripping. My monthly and weekly regimens are pretty similar with a slight change. Separate & clip hair into four sections. 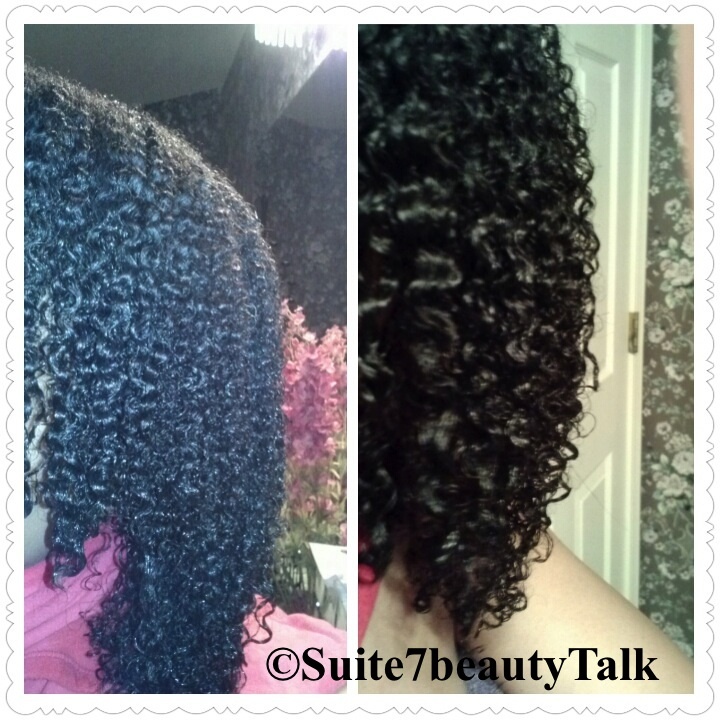 Co-wash in sections then apply a rinse out conditioner. Rinse out deep conditioner & apply a creamier conditioner to each one, detangle & reclip. And that’s it. Everything sounds extra when listed step by step but it doesn’t take long to do all of this. I’m a wash & go girl (yes even in winter & even in Chicago). I work from home so this is fairly easy for me. When I was relaxed, I hated washing & conditioning my hair on my own because it would take four hours to blow-dry and style. Now, the hardest part (which isn’t hard at all) is the shampoo process because that’s where all the work goes. Once I step out the shower, all I do is let my hair air dry and leave it at that. Still baffles me to think I can do this, would’ve laughed at the thought in the past! Every other day, I spray my hair using a small spray bottle filled with warm water & leave-in conditioner to keep my curls hydrated and frizz free. I still see a professional stylist when I want to wear my hair straight. I don’t want to risk heat damage for one and I know I won’t get the same sleek or bouncy results I can get in a salon. My current stylist is also natural so it makes a big difference! So that’s it, I clarify monthly, co-wash weekly and moisturize every other day. I’ll share some of my staple products in a future post. This entry was posted on January 27, 2014 by suite7beautytalk in NATURAL HAIR CHRONICLES and tagged HeyFranHey, MahoganyCurls, Natural Hair, Relaxers.